First set shown in the center on blue cord. A few months ago I found myself with a couple extra copper beads. Nothing fancy so I threw them on some paracord and fidgeted with them for a while. Finding them strangely relaxing and fun, I started asking around for other options and learned they were called begleri or worry beads and that they have been around for a long time. Traditionally they were a strand of 2 or more beads used in the same manner as prayer beads but without the religious significance, and were a common Greek activity to pass time. So, naturally I found someone (new shop contributor Patrick Ober) to make some high end beads to my specifications and I am pleased with the results. 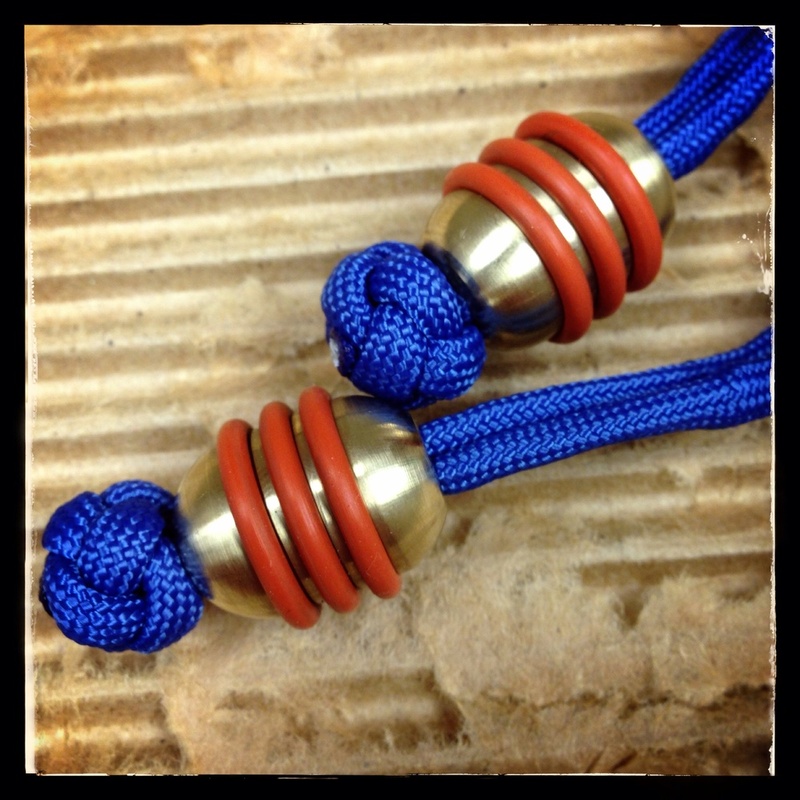 Using brass, bronze and copper, we have created a beautiful set of beads perfect for those that fidget and for those that like to perform tricks. Cut grooves on the bead exterior accept standard O-Rings to protect both the bead and the random surfaces they whack against. Each set will be strung on 550 paracord with decorative knot ends and are available with a Longbowcinchbags pouch for transportation and storage. Wether you are a beginner or pro, you will find these premium balls addictivly fun to play with. Look for them soon in the new metal shop section along with other fine pieces from Patrick Ober.